Volunteers are always needed and warmly welcomed to help both in the Garden itself and with activities organised by the Friends. A regular gardening group meets on Wednesdays at 10am­­ to work outside under supervision until 12.30pm, weather permitting. Bring hand tools and a drink to have at coffee break, go to the far end of the car park near the toilets where the group meets. Other times to suit you can be arranged with the Garden staff. You can also choose to specialise in a particular area of the Garden and work with the gardener nominated for that area. Some volunteers work in the potting shed or assist with propagation for the plant sales area. We also need help to collect seeds and clean and package them over the winter, which can be done by less mobile volunteers. Volunteers are also invited to train as tour guides or for ‘meet & greet’ to welcome visitors to the Garden and help them get the most from their visit. All age groups are valued. Not only do you work in beautiful surroundings but there is a great pride and satisfaction in volunteering and a chance to learn from the staff and other knowledgeable gardeners. Garden volunteers will be given free entry when they visit at other times. Other opportunities with the Friends include organising and participating in events, membership of the Executive Committee, fund raising and marketing. Contact us to find out more or offer help. 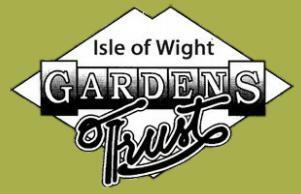 Caring for the Island’s parks, gardens & designed landscapes.